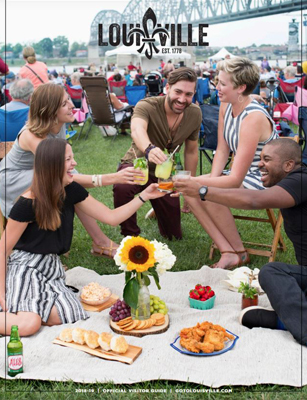 LOUISVILLE, Ky. (Nov. 13, 2018) – Beginning February 28, you can listen to bluegrass while enjoying an Old Fashioned cocktail in Bourbon City and hop a direct flight to soak in Bourbon Street’s jazz and a Sazerac in New Orleans. 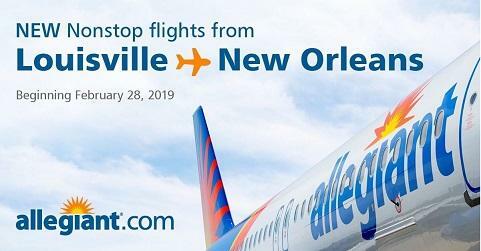 Nonstop service on Allegiant between Louisville International Airport (SDF) and Louis Armstrong New Orleans International Airport (MSY) will begin seasonal service February through Kentucky Derby weekend on May 5. The schedule is currently open for passengers to begin booking flights. The airline will operate the flight using a 180-seat Airbus A320 aircraft. Louisville International Airport is served by six airlines offering flights to 32 nonstop destinations including 19 of the region’s top 20 domestic markets. With just one stop, travelers from across the region can reach 170 international destinations in 81 countries on six continents. For additional information, visit www.FlyLouisville.com.